Trains are classified by their speed and service in China, represented by a train code. A train code is comprised of a letter (G, D, C, Z, T, or K) or no letter (number only), which indicates a train&apos;s type. A business class seat is the most expensive but the most comfortable, while soft sleepers will save your time and a night&apos;s hotel bill. Speeds, prices, services, and equipment vary betweendifferent types of trains. Which train type and which seat class will fit your timetable and budget? You will find the answers through how to choose train type & seats. 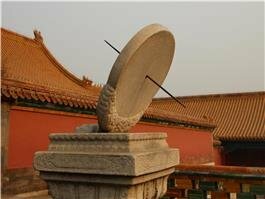 For example, in Beijing there are stations called Beijing South, Beijing West, and Beijing. 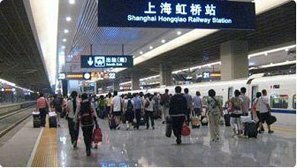 Main bullet trains will depart from Beijing South Railway Station; some will depart from Beijing West RailwayStation, while most of the ordinary overnight sleeper trains will depart from Beijing Railway Station. If you want to take the high-speed trains, you need to go to Beijing South Railway Station. High-speed trains and ordinary trains are located at different stations. You need to select and go to the correct train station. Here is a list of major high-speed train stations in China. Download railway station instructions, maps, and tips. Trains in China can take you to many popular destinations, and it would be a fantastic experience to take a bullet train during your China tour. 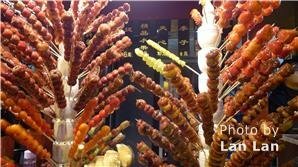 However, it can be difficult for you to buy a ticket in China. For China&apos;s domestic trains, there are six ways to purchase the tickets: How to buy train ticket. 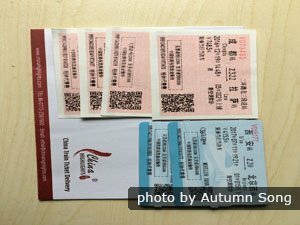 China Railway doesn’t sell international train tickets online, including those to and from Hong Kong, so you need to purchase them through agents in China. 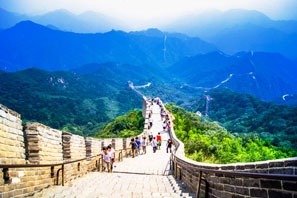 China Highlights can help you to purchase train tickets to Mexico, Vietnam, and Ulaanbaatar, as well as other destinations. We provide a Train Ticket Booking Service. Simply choose a train, fill in the dates and passenger information on the request, and pay. 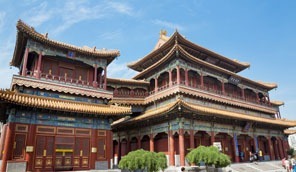 China Highlights provides detailed and helpful English guidance, a 24/7 service, and also a ticket delivery service. *For international trains, you will need to enter the box called&apos; International Train from China&apos; on our train page or you won&apos;t find any results. 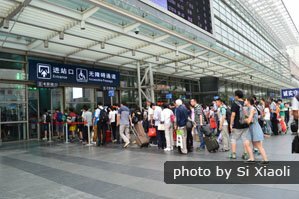 How to Board and Get Off a Chinese Train? It may be very convenient for you to board/get off a train in your country, but there are some extra things to do to get on and off a train in China. How to Board a Chinese Train? You need to get to the right station, go through the security check to enter the station, find the right waiting area, and wait until you have your tickets checked. Then go to the platform where your train and car is. Make sure you have your passports and paper tickets with you. Read more. You will need to pay attention to the train&apos;s schedule. Station announcements usually come at least 10 minutes before each stop.Follow the crowd and read the overhead instruction sign of "Exit(出站口)", and you will get to the correct exit. Stations vary but, if you are very lucky, there will be an escalator. Remember to have your ticket readily accessible, as the ticket will be inspected again at the exit gates either by a member of staffor a machine. How to Go to Your Hotel or Destination After Getting Off the Train? Generally speaking, train stations are transportation hubs of cities, and it is very convenient to travel to somewhere else from a train station, especially in large cities. Usually, many public buses have stops at train stations. In large cities with subways, you can always find two or three subway stations around a train station. Subways usually operateuntilabout11pm. For example, the last subway service from Beijing West Railway Station on Line 9 is at 11:29pm. Most of the public buses usually operate from 6am to 10pm. Buses thattravel along main routes with a high population density often operateuntil 11pm, if you are lucky. You are recommended to take a taxi displaying a lighted &apos;taxi&apos; sign and a taxi meter. 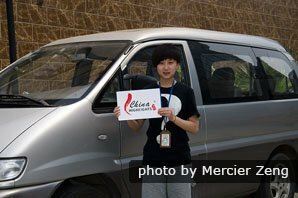 If you want security and no hassles, the 24/7 private transfer service provided by China Highlights is your best choice. Our Beijing local travel agency provides a safe, reliable, fast, and comfortable airport transfer (train station transfer) service, with a 24/7 customer service. We assist with hotel and airport staff communication, and are experienced in dealing with unforeseen circumstances, such as tracing lost luggage and dealing with visa problems. How to Access Google and Facebook in China? Some websites are blocked in China, including Google, Twitter, and Facebook. However, you can access these websites by using a VPN service. Many companies provide VPN services. The most reliable and stable we have found is ExpressVPN. They support multiple devices and languages. Click here for detailed instructions.